Medical patients swear by it. Researchers are intrigued by it. Government regulators are flustered by it. And investors are head over heels for it. CBD oil is the It-Medicine of the moment. A few years ago, hardly anyone knew about CBD oil. Today there’s a huge demand for it. 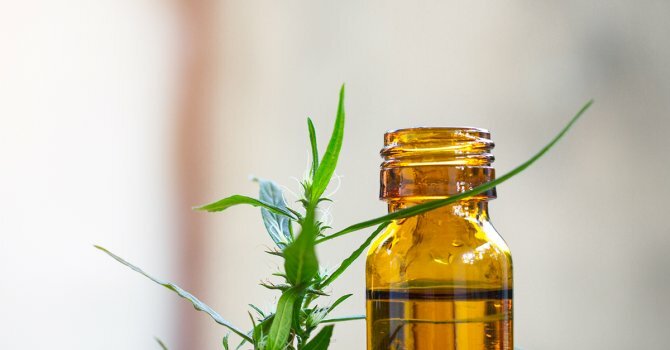 Millions of people are taking CBD oil as a health supplement. But what exactly is it? Where does it come from? How is it made? And what should you know before you buy it? 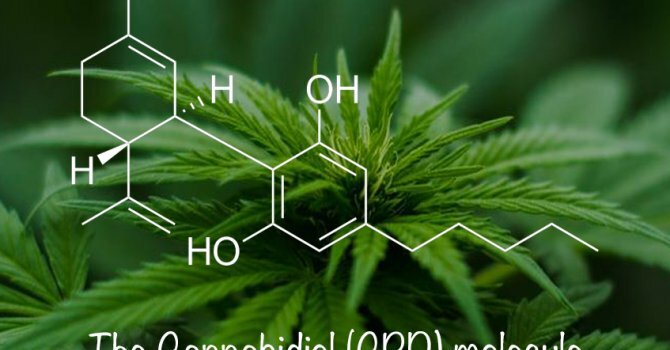 Cannabidiol (CBD) is one of more than 100 unique “cannabinoid” compounds that are found in the oily resin of the cannabis plant. The sticky, gooey resin is concentrated on the dense clusters of cannabis flowers, commonly called “buds,” which are covered by tiny, mushroom-shaped “trichomes.” This is where the magic happens. Trichomes are specialized glandular structures that contain a treasure trove of oily, medicinal compounds, including CBD, tetrahydrocannabinol (THC), and various aromatic terpenes. Why does cannabis create these oily compounds? What does the resin do for the plant? The oily trichomes protect the plant from heat and ultraviolet radiation. The oil also has antifungal, antibacterial and insecticidal properties that deter predators. The stickiness of the resin provides another defensive layer by trapping bugs. As it happens, the same oily resin that protects the health of the plant includes components that are beneficial for human health. 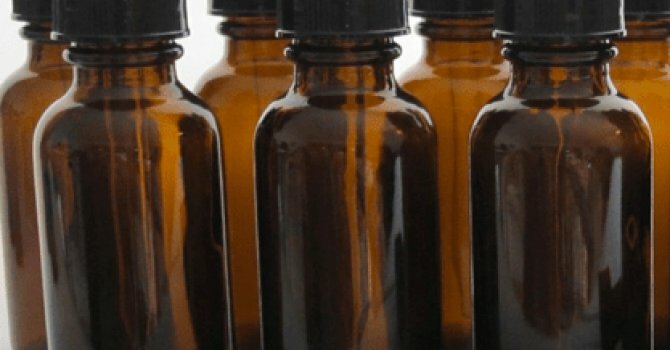 CBD, a non-intoxicating compound, has shown promise in treating and managing the symptoms of a broad range of diseases. Ditto for THC, CBD’s intoxicating cousin. CBD oil is extracted from the resinous trichomes of cannabis plants. There are many different cannabis “strains” or varietals. The amount of CBD present in the trichomes will depend on the particular variety of cannabis or hemp. Low resin industrial hemp, which is legally defined as cannabis with less than 0.3 percent THC by dry weight, has fewer trichomes – and therefore less oil – than high-resin cannabis varietals. But most high resin cannabis strains these days are THC-dominant with little CBD. So choosing the appropriate CBD-rich cannabis chemovar, a variety of cannabis defined by its chemical constituents, is key for extracting CBD oil. Trichomes are fragile structures that easily break off of the cannabis flower. Even rough handling is enough to shake off the trichomes. 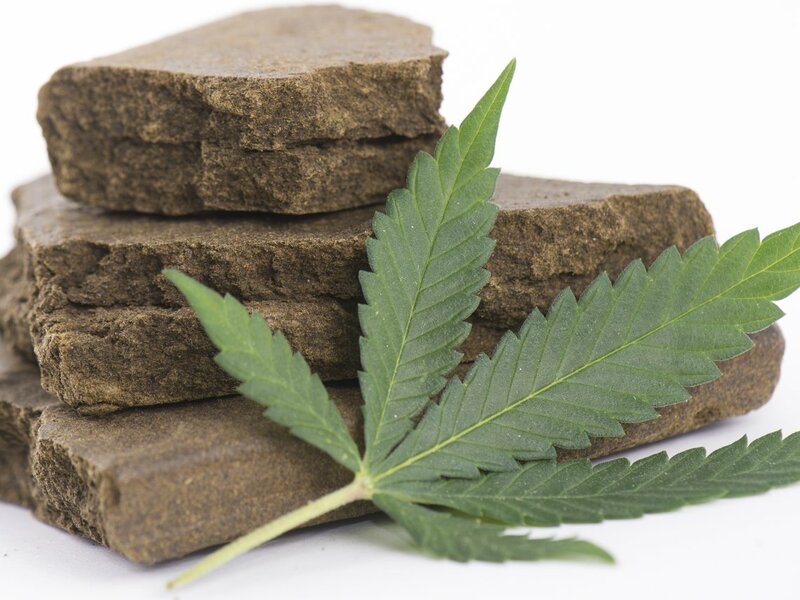 Making hashish or “kif” (hashish powder) involves manually removing the resinous trichomes by agitating the flower. Sometimes heat or pressure is applied to partially melt the trichomes together, turning the resin into a congealed slab, referred to as rosin, which can be smoked or ingested. In addition to the resinous trichomes concentrated on the flowers and to a lesser extent on the leaves of the cannabis plant, there are the tiny sessile trichomes, which dot the stalk, but these contain hardly any oil or CBD. (Shaped like tiny inverted commas, non-glandular hairs without oil also cover the plant’s surface.) CBD is also absent in the roots or the seeds of cannabis and hemp. 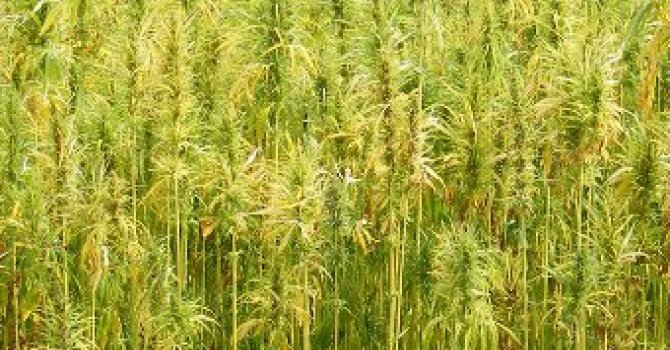 Companies that claim they derive CBD from hemp stalk or hemp seeds are making false claims. To make CBD oil, one must start with CBD-rich plant material. 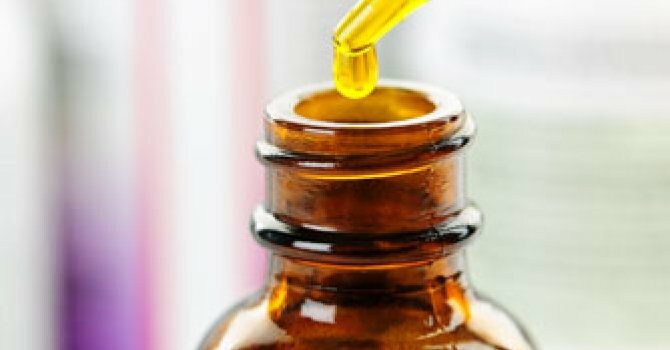 There are several ways to extract CBD oil from cannabis. Each method has its pros and cons. Some are safer and more effective than others. 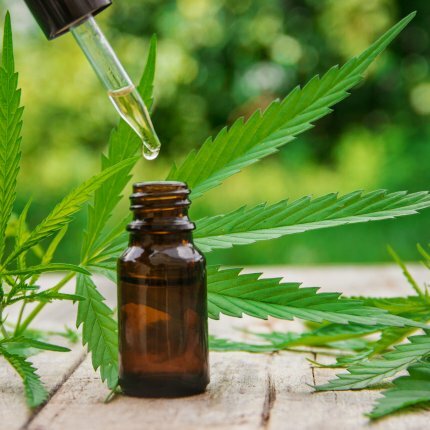 After it is extracted from the plant and the solvent is removed, the CBD oil may be refined and formulated into a variety of consumable products – edibles, tinctures, gel caps, vape oil cartridges, topicals, beverages, and more. The purpose of an extraction is to make CBD and other beneficial components of the plant (such as terpenes) available in a highly concentrated form. Because cannabinoids are oily by nature, separating CBD from the plant material will produce a thick, potent oil. The texture and purity of the oil depends largely on the method used to extract it. CBD and the other plant cannabinoids are chemically classified as “terpenophenolic” compounds. To the non-scientists among us, this means that CBD is soluble in both oil and alcohol. Thus, the process of extracting CBD oil from cannabis often entails the use of a solvent that’s good at dissolving an oil or an alcohol-based compound. Solvents that are commonly used to extract CBD from cannabis include supercritical CO2, ethanol, hydrocarbons (such as butane) and olive oil. CO2 extraction is the most prevalent commercial method – as well as one of the safest ways – of separating CBD and other cannabinoids from cannabis biomass. At room temperature, carbon dioxide is a gas. But under high pressure and fluctuating temperature, CO2 liquifies while still maintaining the fluid dynamics of a gas. In this “supercritical” state, CO2 acts like a solvent, which flushes out the active ingredients from the plant matter. This method is very effective because each compound can only be extracted by CO2 under specific conditions. Slight changes in temperature or pressure in a supercritical state allows for fine-tuning the extraction of CBD and other desirable plant components. As the pressure drops, a crude, waxy, CBD-rich substance, golden in color, separates from the gas and deposits into a collection vessel. Afterwards, the golden oil undergoes a process known as “winterization,” which purifies and refines the extract to increase its quality and value. The plant waxes, which are not appropriate to include in certain kinds of products, are filtered out, resulting in a safe, clean, CBD-rich oil that is free of chlorophyll. Supercritical CO2 extraction requires expensive equipment and a steep operational learning curve. But unlike combustible solvents, such as ethanol or butane, CO2 poses no danger of fire or explosion. The use of ethanol to extract medicinal compounds from cannabis and other plants has been a common practice in many cultures for centuries. In 1854, the U.S. Pharmacopeia recommended ethanol-based tinctures of “Indian hemp” to treat numerous ailments, including neuralgia, depression, hemorrhage, pain and muscle spasm. These odiferous tinctures were a standard part of American health care prior to the passage of the Marihuana Tax Act of 1937, which prohibited all forms of cannabis consumption. But homemade cannabis tinctures persisted as an underground folk medicine, particularly in marginalized Latino communities, despite federal law. In recent years, ethanol has re-emerged as a popular means of extracting cannabis oil, in general, and CBD oil, in particular. Whereas a tincture made from a cannabis extract could be equal in potency to the original flower, a concentrated version of the same tincture will be much more potent. Today, food-grade grain alcohol is a widely used solvent for creating very potent, high-quality CBD-rich oil, which is suitable for oral ingestion. Ethanol extracts available in medical cannabis dispensaries are typically referred to as Rick Simpson Oil (aka RSO) or Full-Extract Cannabis Oil (FECO). In order to make RSO or FECO, cannabis flower is soaked in ethanol, agitated, and strained; then the residual oil is gently heated until all that remains is a viscous, highly concentrated goo infused with cannabinoids, which can be difficult to dose accurately, given how thick it is. Often sold in plastic, needleless syringes to make dosing and administration a little easier, RSO should contain the full spectrum of cannabinoids extracted from the plant. This means that a small amount THC will also be present in a CBD-rich ethanol extraction. Consumers are cautioned not to ingest a dose larger than a small grain of rice. With this type of cannabis oil, in particular, it’s always best to start low and go slow. Using hydrocarbon solvents – such as butane, hexane and propane or mixtures thereof – to extract CBD from cannabis has major advantages as well as distinct disadvantages compared to other methods of manufacturing CBD oil. 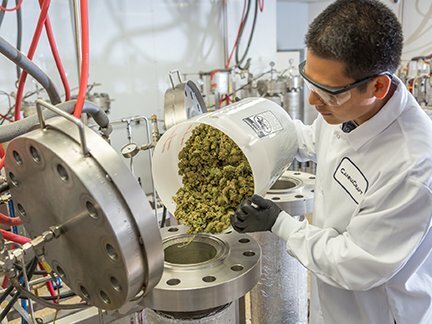 When properly implemented, this extraction technique is a very effective at separating cannabinoids and terpenes from unwanted cannabis components (e.g., chlorophyll), while preserving the unique scent and significant therapeutic attributes of the plant. Potent cannabis concentrates made with hydrocarbons may resemble tree sap, ear wax, or brittle candy in texture. The product known as “shatter” (so named because of its glass-like appearance and the manner in which it breaks) is consumed via inhalation by using a “dab rig” or a high temperature vaporizer. But butane and other hydrocarbons are highly flammable, neurotoxic solvents. 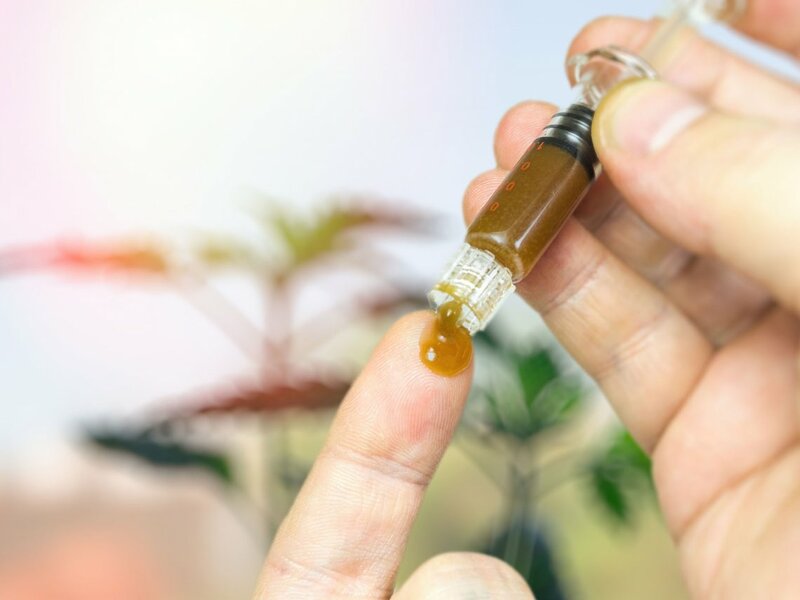 If these solvents aren’t fully purged from the CBD oil extract, their consumption can be harmful – especially for someone with a compromised immune system. In addition to leaving toxic residues in the oil, unsafe manufacturing processes involving hydrocarbons have been known to cause deadly explosions. Project CBD strongly discourages home extraction using flammable solvents. There are much safer options for making a CBD oil extract in one’s own kitchen. Olive oil extraction is safe, simple and straightforward. It’s also inexpensive. And you can do it yourself. Heating the plant matter in an oven will decarboxylate the cannabinoids, turning THCA into THC and CBDA into CBD. Steep the flower and leaves in the olive oil; then sift, strain, and separate the oil from what’s left of the herb. 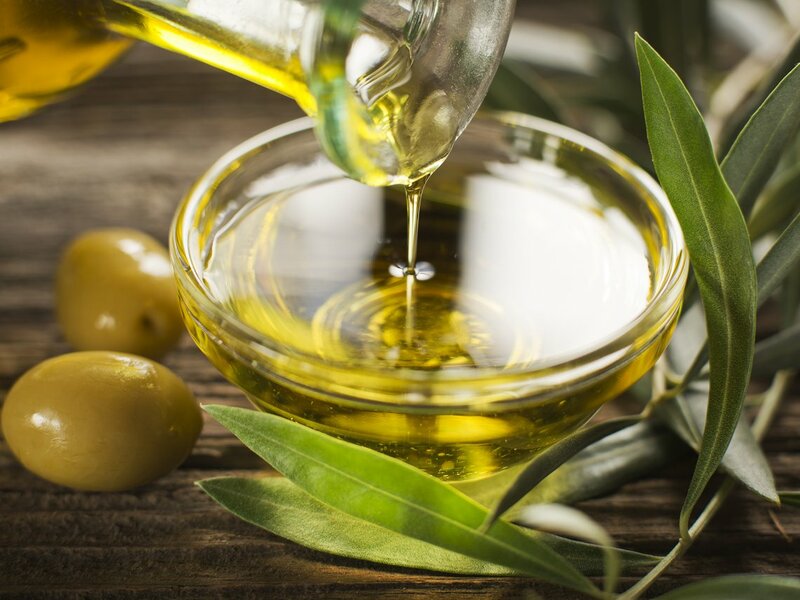 Cannabis-infused olive oil — whether CBD-rich or THC-dominant — is perishable and should be stored in a cool, dark place so it doesn’t turn rancid. One can also extract CBD from cannabis by using other lipid solvents, including avocado, coconut or MCT [medium chain triglyceride] oil. Hemp seed oil is another effective extraction solvent and a carrier vehicle that mixes well with CBD. But be forewarned about CBD product companies that claim they get their CBD from hemp seeds. While hemp seeds are an excellent source of protein-rich, omega 3 fatty acids, the seeds themselves don’t contain CBD, THC or any other cannabinoids. Trace amounts of cannabinoids may be present in oil pressed from hemp seeds if the seed covering, the bract (where resin can cling), isn’t thoroughly rinsed and removed prior to the extraction process. To reiterate: CBD oil in not the same as “hemp oil” or “hemp seed oil.” Some companies are manufacturing inferior products by spiking hemp seed oil with a CBD isolate. Such products lack the synergistic array of beneficial components found in full-spectrum CBD-rich oil. Unfortunately, there is little oversight for manufacturing hemp-derived CBD products, which can lead to confusion and deception. Many hemp-derived products are mislabeled as to CBD and THC content. And poorly processed CBD oil may be contaminated with dangerous solvent and pesticide residues, thinning agents, corn syrup, artificial flavors and colors, and other toxins. If possible, it’s better to obtain CBD oil products from licensed dispensaries in states that have legalized cannabis for therapeutic or personal use. These states are likely to have stricter safety standards for CBD oil products than states or countries that refuse to regulate the booming CBD industry. 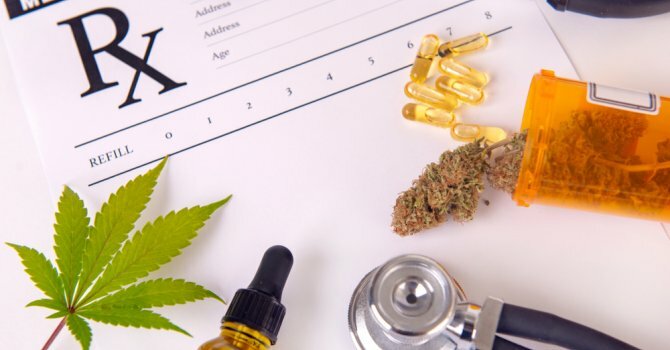 Read the ingredients carefully before purchasing a CBD oil product, and look for evidence of laboratory tests and verification of CBD concentrations when buying a CBD remedy or supplement. Zoe Sigman is Project CBD’s Program Director. What is CBD? Cannabidiol—CBD—is a cannabis compound that has significant medical benefits, but does not make people feel “stoned." 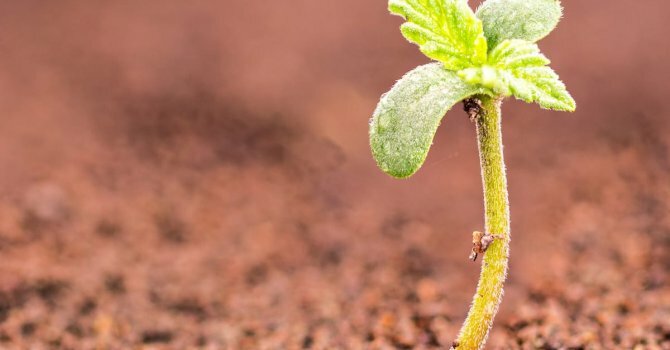 How To Use CBD & Cannabis Unsure about how to use cannabis? Vaping or CBD oil dropper? Find out the best way of using cannabis that suits you. Project CBD’s guide to locating safe and effective medical cannabis products.